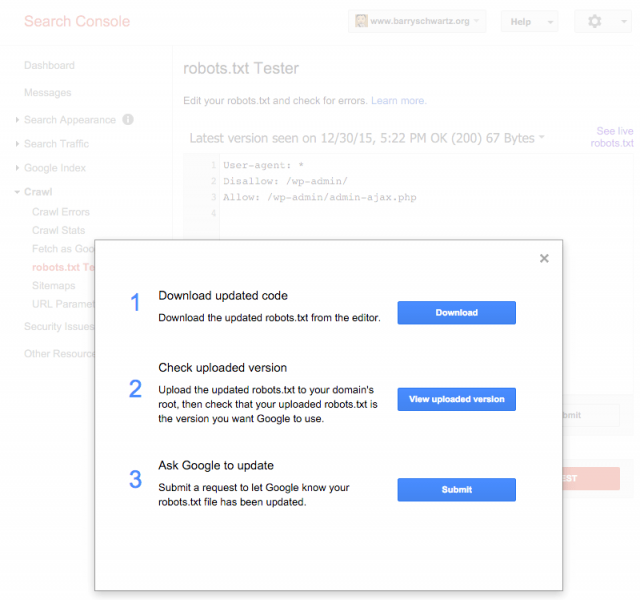 John Mueller from Google said you can expedite the indexing and processing of your new robots.txt file by going to the Google Search Console, clicking on the robots.txt Tester under the Crawl section and submitting the new one via that interface. 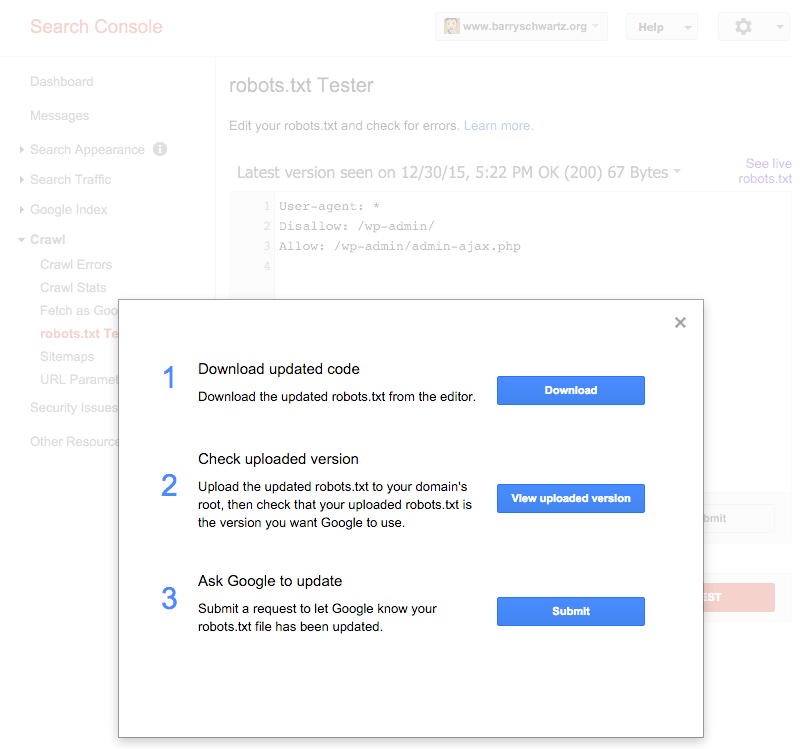 You click on the submit button and select the "submit a request to let Google know your robots.txt file has been updated" option. One small thing you can do to force a change in the robots.txt file to be reprocessed (usually we do this about once a day, depending on the website) is to use the robots.txt testing tool in Search Console. There you'll see the current known version, and you can submit your new one for reprocessing, if you've since made changes. https://support.google.com/webmasters/answer/6062598 has a bit more on this.